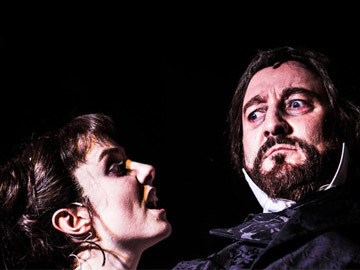 Innovative theatre productions for adult casts, creating opportunities for professional performers and serious performers, graduates and students of performing arts. 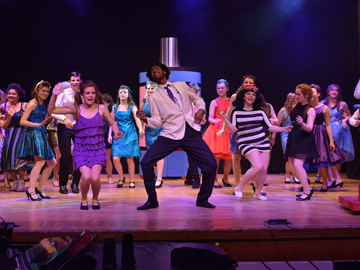 High quality theatre productions for youth casts. During the project with Vivo D’Arte, what I did, not just in the show, but in my career mattered to them. 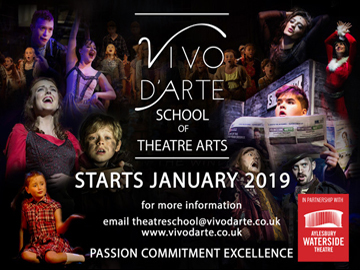 The high quality performance opportunities Vivo D’Arte has given me and the continual backing of many of the inspirational people involved have been invaluable. Wow! Wow! Wow! Thank you for giving these talented children and young adults this amazing stage experience. What our Stage Experience Audience Say! Blown away again by what Vivo D'Arte achieve. 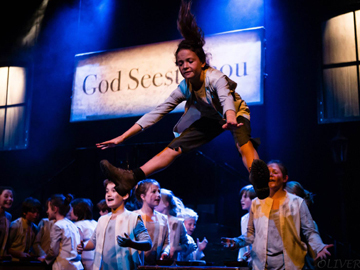 It is far and away the best youth theatre I have seen and easily rivals any West End production... . Watching ‘Parade’ on Saturday was such a joy - congratulations! Parade was an incredible experience. An immersive and inclusive tour de force in the most hauntingly appropriate setting. The concept, the technical expertise and the passion of the piece were executed brilliantly. Congratulations to all involved. What young director Dan Cowtan and his impressive creative team, cast and musicians achieved was simply tremendous and deserves to be seen by a far wider audience. Vivo D’Arte say they aim to instil passion, commitment and excellence in the young people they work with, and they have achieved all three in abundance with Parade. This production of Parade is a wondrous theatrical event which deserves to be shared far and wide.